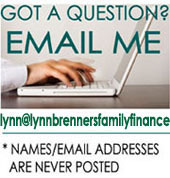 Q: I've inherited an IRA ($75,000) as a result of my Mother's passing. I will get another $30,000 from the sale of her home when it sells, hopefully within the year. I have student loans for a total of $44,000 at interest rate of 7.75% (already consolidated). I am 53 years old and single. I make around $30,000 a year and have a disability with my hands that holds me back. I am thinking of paying off the student loan with the inheritance money, because I will probably not get that high a return in the market, and because it would be really nice to be out of debt. I am currently in deferment with the loans because I can’t afford the $365 monthly payment. This adds about $100 of interest to the balance every month. My plan is to immediately pay the loan down $14,000 out of the IRA, and to wait until the house sells and then pay the rest with the money from the sale of the house. I’ve been told that I will not have to pay taxes on the $30,000 because it is part of her estate. If that is the case, it is better that I wait until the house sells, rather than use the IRA money to pay off the whole loan. A: You've put together a very sensible, well considered plan. Before suggesting how you might tweak it to make it a little more tax-efficient, let's briefly explain to other readers the points that you already clearly understand. It's a good idea to use the $30,000 from the house and $14,000 from the IRA to pay down your student loans, says Barry C. Picker, a Brooklyn NY tax accountant and IRA expert. But from a tax standpoint, it would be more efficient to take $14,000 from the IRA in monthly withdrawals than in one shot. 1. Making monthly payments spreads the income tax burden: If you take $14,000 in a single withdrawal, you’ve increased your taxable income for that calendar year by $14,000. If you divide $14,000 into monthly $365 payments, it boosts your annual taxable income by only $4,368 for three calendar years. 2. Making monthly payments would cover your required minimum withdrawals for three years. With a single withdrawal, no matter how big, you only satisfy one year’s distribution requirement. 3. Making monthly payments is slightly better for your credit score. If you retire your loans with a single payment, you’ve reduced your outstanding debt. That’s good for your ‘total debt amount’, which accounts for 30% of your credit score. If you retire a debt in monthly payments, you improve your 'credit history', which accounts for 35% of your credit score. That said, your plan is a good one even if you opt for the less tax-efficient -- but perhaps more emotionally satisfying -- approach and get rid of that debt as fast as possible. If that’s your choice, I certainly won’t fault you for it! Tapping an Inherited IRA: Don't Shortchange Yourself! Q: I have an Inherited IRA. I've chosen to take distributions from the account over five years. I'm in the second year now. I have two questions. First, is the distribution amount determined by the IRA's value in the first year, or does the amount change over the five years due to losses and gains in the account? A: You have more freedom than you realize. First, it sounds as if you still have the option to take minimum annual distributions based on your life expectancy. If so, you should grab it. It's a better deal than having to empty the account within five years. Second, even if you stick with the five-year rule, it doesn't require annual distributions. It just says you must empty the Inherited IRA by the end of Year Five. If you want, you can skip years one through four and withdraw the entire balance at the end of year five. "IRA custodians don't usually ask for an affirmative election of the five-year rule," says Barry C. Picker, a Brooklyn NY CPA and financial planner. In other words, you probably aren't committed to emptying the account in five years and still could switch to withdrawals based on your life expectancy. Before explaining why that's preferable, let's quickly recap the rules. What you can and can't do with an Inherited IRA depends partly on whether you were married to the original owner. We'll keep it simple and say you inherited an IRA from your uncle Joe. --If you're the named IRA beneficiary, and Joe was under 70 1/2 when he died, you can a) take yearly distributions over your lifetime; or b) empty the IRA within five years. It's hard to imagine a situation in which b) would be a better choice, says Picker. --If you're the named IRA beneficiary and Joe was over 70 1/2, he was already taking required distributions from his IRA when he died. In that case, you can a) take annual distributions based on your life expectancy; or b) take annual distributions based on Joe's remaining life expectancy had he lived. If Joe was 76, for example, he had a 22 year life expectancy. "But in this situation, you don't have the five-year option," says Picker. --If you weren't the named IRA beneficiary, you have fewer choices. For example, perhaps Joe made you his heir in his will, but neglected to fill out an IRA beneficiary form. In that case, says Picker, the IRA beneficiary is actually Joe's estate. You inherited the estate, so you get the IRA -- but you don't get a beneficiary's option to stretch distributions over your own life expectancy. If Joe was over 70 1/2 when he died, you can take annual distributions based on his remaining life expectancy. But if Joe was younger, you must empty the IRA within five years. Okay -- so let's assume Joe died in 2010. You inherited his $100,000 IRA as the named beneficiary, which gives you several distribution choices. You picked the five-year option. You took a $20,000 distribution in 2010, assuming that it was required. But actually, the five-year rule just says you must empty the IRA by December 31, 2015 -- the end of the year containing the fifth anniversary of Joe's death. By contrast, with annual distributions based on your life expectancy, you must take the first distribution by December 31 of the year after Joe's death -- i.e. December 31, 2011. If you're 48 years old, you have a 36 year life expectancy. Each annual distribution is based on the IRA's value at the end of the prior year. If there was $80,000 in the IRA on Dec. 31 2010, your 2011 required distribution is $80,000 divided by 36 -- $2,222. Lifetime distributions are a better choice because they minimize the amount you must take out every year. There's less of a tax bite, and less chance that a distribution will push you into a higher bracket. And as I explained in this earlier post, your inheritance has a chance to become much bigger because the IRA balance can grow tax-deferred basis much longer. And there's no downside: You're always free to take a bigger withdrawal if you need the money.